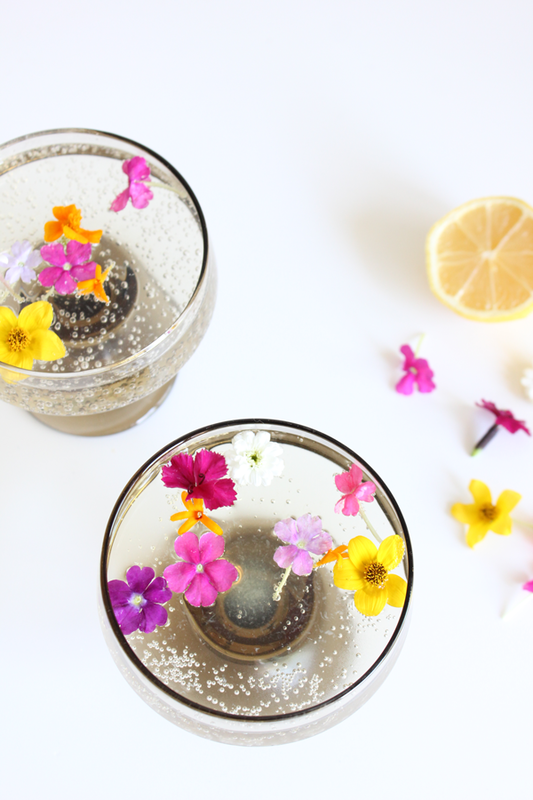 Just add edible flowers, and this white wine spritzer is quite possibly the best cocktail to beat the summer heat! It's hot. No, really. It's seriously hot out there. 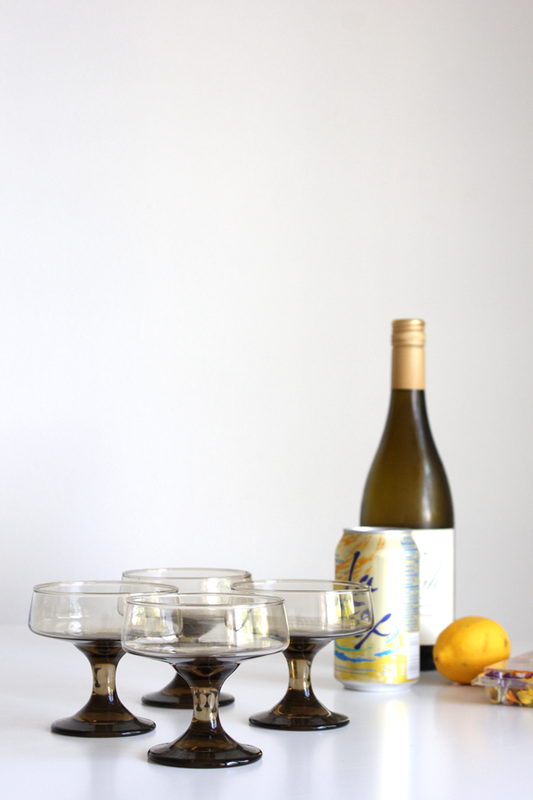 And when it's this hot, there's nothing more refreshing than a delicious white wine spritzer. And no, we aren't talking about your grandmother's white wine spritzer. 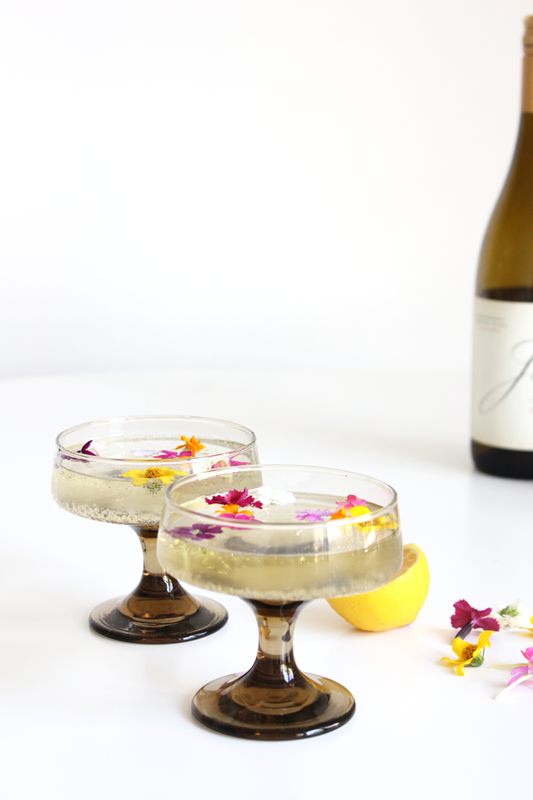 In case you hadn't noticed, this delicious little summer cocktail is making a pretty solid comeback... As such, when prepping to write this post, we were compelled to do a little research into the origin of said wine spritzer. Turns out it was not invented "on a front porch in Alabama by a genteel Southern lady" (and, yes, we admit that is exactly where we saw it all happening)! No, it goes all the way back to 1842 when a Hungarian author invited a group of friends over to check out his new wine cellar. One of the guests, a scientist, brought a bottle of a new fangled thing called "soda water." At the time, it was all the rage, and to mix things up a bit, the group decided to add the soda to the wine. Smart cookies, huh?! But we digress... 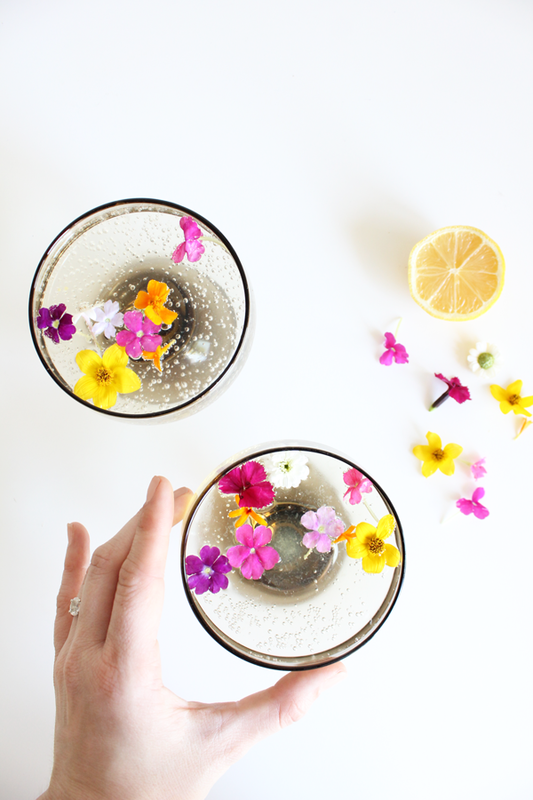 The point is, we came across this great recipe for a white wine spritzer with edible flowers on the blog over at The Flair Exchange and immediately fell in love. So, bring on the heat, summer - this cocktail is ready to take you down! 1 - Grab a pretty cocktail glass. 2 - Squeeze juice from 1 1/4 lemons in the glass. 3 - Add 1/4 cup Chardonnay. 4 - Top with lemon flavored soda water. 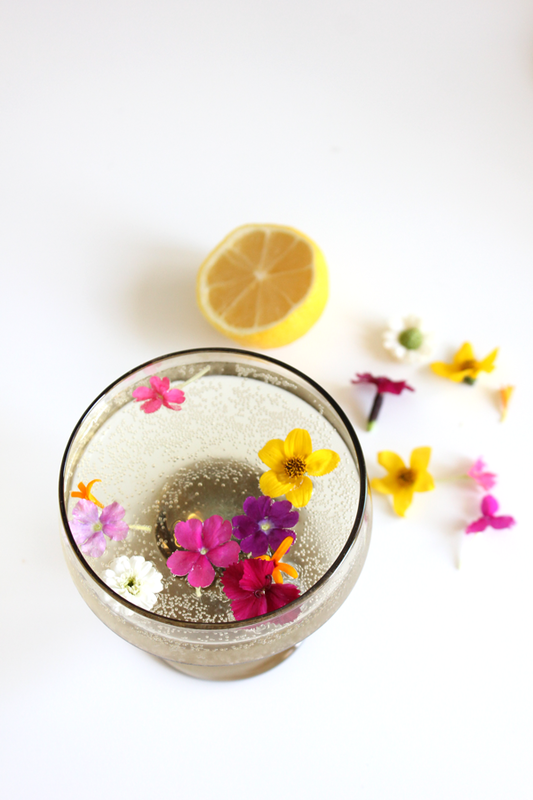 5 - Sprinkle with edible flowers. Easy, right?! And sooooo delicious and pretty and all the things we like best. 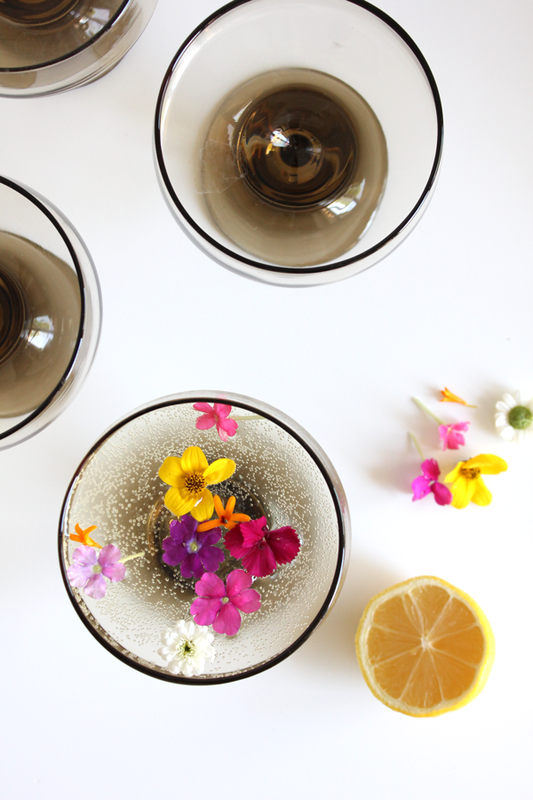 The recipe calls for a 'coupe like glass,' but with so much gorgeous glassware out there, why limit yourself?! We are particularly fond of vintage, and Etsy is always a great place to find some really great stuff. And what about edible flowers? Whole Foods has some great edible florals, or you can order some from the comfort of your couch here. The Flair Exchange is a key resource for anyone planning small, homemade events. Their online boutique offers packaged party goods made from scratch from materials sourced locally. Their blog shares all sorts of great party ideas, recipes, and more. The Flair Exchange was started by a lovely girl named Carmen who believes "a dance party and a little bit of sunshine will cure whatever ails ya"... so obviously we love her!